Pick up fresh produce and kitchenware a little ways off the juncture of 89 and 91, and before you hit Burlington's best breakfast spots and dining gems, make a detour to a world-famous brewery or family-friendly farm. Chef Mary Dumont shares some of her favorite spots to hit on her annual trip to VT.
Our annual drive from Boston to Vermont is only a couple of hours long, but it’s such a great drive that we like to take it slow and poke around on our way up north, especially as a break from the frantic pace of our Boston restaurant, Cultivar. It’s the last alone time Emily and I get before we spend a whole week with our entire family. That's around 30 people and five dogs, all piled into an old farmhouse that we’ve dubbed "The House You Can’t Break." Our four kids drive themselves up there, so in our Ford Explorer, it's just me, Emily and our two dogs, Molly and Addie. The drive through Vermont is so beautiful and there are plenty of terrific stops that can easily turn the two-hour drive into a day-long affair. Here are some of our top places to pop into. Simon Pearce is more than just an excellent source for wedding gifts. We love to stop by the mill in Quechee to watch the artisans blowing glass and making hand-thrown pottery. Then we head upstairs to the on-site restaurant, The Mill at Simon Pearce. 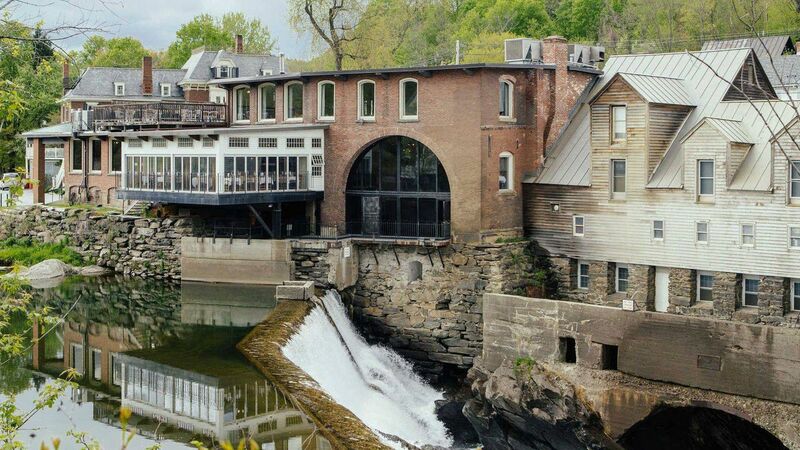 What makes this so magical is that the studio and restaurant sit right on the falls of the Ottauquechee River. (It’s a great spot for selfies.) 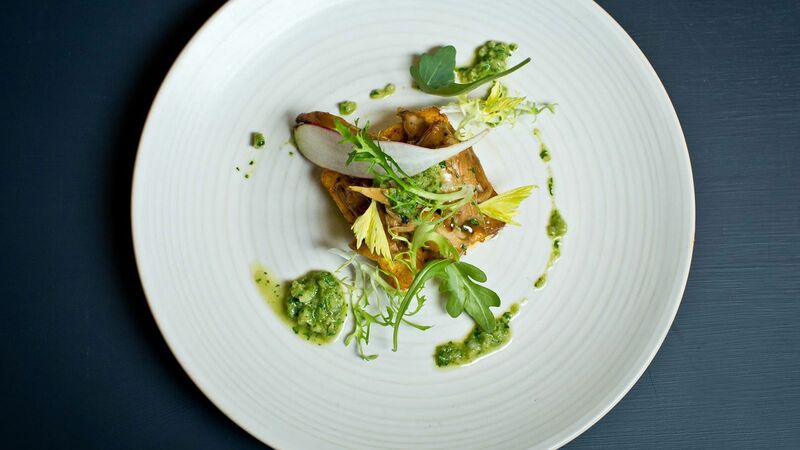 The food at the restaurant is simple and hyper-local, and, of course, it’s all served on their handmade plates, alongside their handblown glasses. We love the quiche and make sure to order it every time. After we’re done eating, we shop! We never leave without buying something. New England is speckled with great, old-fashioned country stores, and the Woodstock Farmers’ Market is one of our favorites. We shop and stock up here for the meals we’ll be preparing at the house. They have the tastiest heirloom tomatoes and garlic scapes, and we love their fantastic strawberry rhubarb pie and elderflower lemonade. 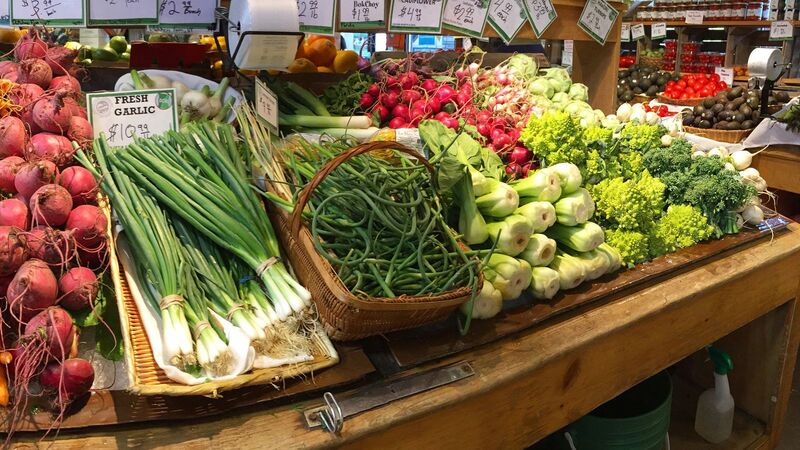 Everything in the store is locally grown or sourced. We also pick up a couple of fresh, made-to-order sandwiches from their deli to eat on the road. We were pretty excited when Jon and Jen Kimmich opened up this brewery in 2016, where they sell their spectacular cult IPA, Heady Topper. The facility is super cool—the beer tanks look like beer cans and there is so much funky art throughout the space. As soon as you walk in, the smell of hops hits you and it's just awesome. Sometimes there’s live music, and it’s really dog-friendly. It's one of Molly and Addie’s favorite pit stops. 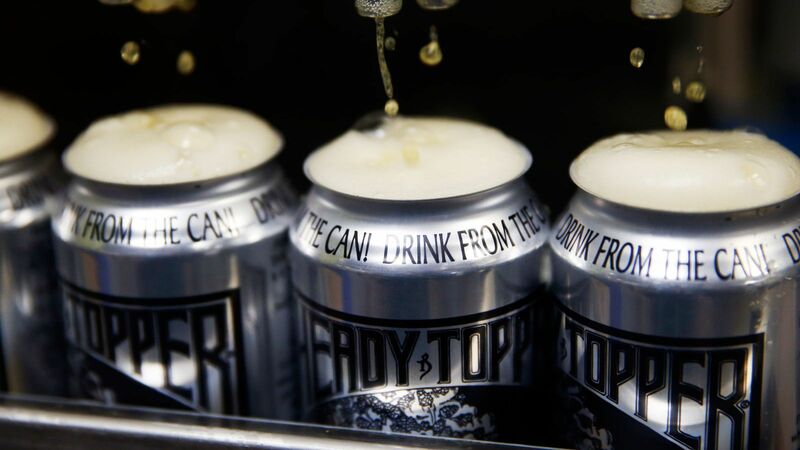 They give out free beer samples to taste, and we always leave with the max amount of Heady Topper they sell: four 4-packs. 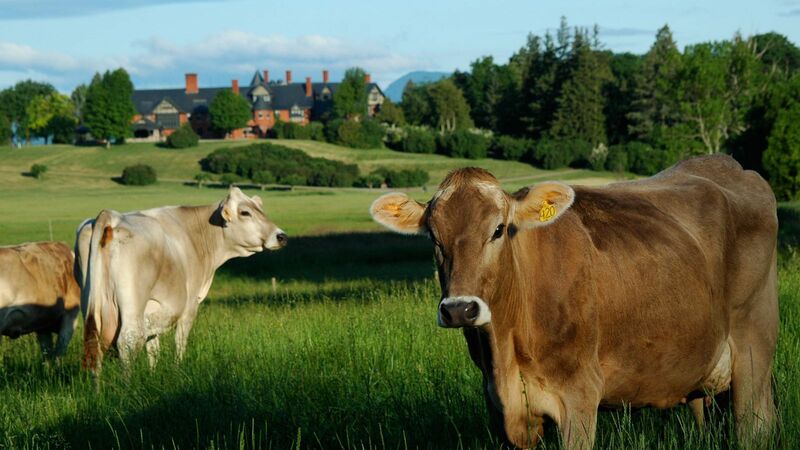 Molly and Addie are particularly fond of Shelburne Farms, because we can put on the leashes and bring them along. Ideally, though, it’s most fun to spend the whole day here and go on one of the Sun to Cheese Farm tours, where you can meet the cows and see the cheese being made. We are bananas for their clothbound cheddar! There’s just so much to do—from the walking trails and kids' farmyard to a low-key lunch from the farm cart. We also love the mission of the farm, as its all about education and sustainability, much like Cultivar. Oh my gosh, breakfast at Mirabelle’s Café is just so good. They make everything from scratch, including their own house-ground sausages. There’s usually a bit of a wait to get in, but it’s worth it. We love getting the breakfast popover with eggs and smoked salmon and we’re big fans of the breakfast tostada, too. The bakery is pretty big, and you can see all of the bakers with their headbands working in the back. If you’re looking to pick up dessert, go for their epic black forest cake or the mixed berry trifle cake. This is the Vermont raw scene at its best. There’s such an awesome amount of vegetarian- and raw food-eating in Vermont—if you follow that kind of diet you can eat like a king or queen up here. The juices at Vermont Juice Company are cold-pressed and completely raw, so they are supremely delicious and fresh-tasting. We drink the Lake Monster, which is a combo of kale, chard, apple, cucumber, parsley, lemon and ginger. 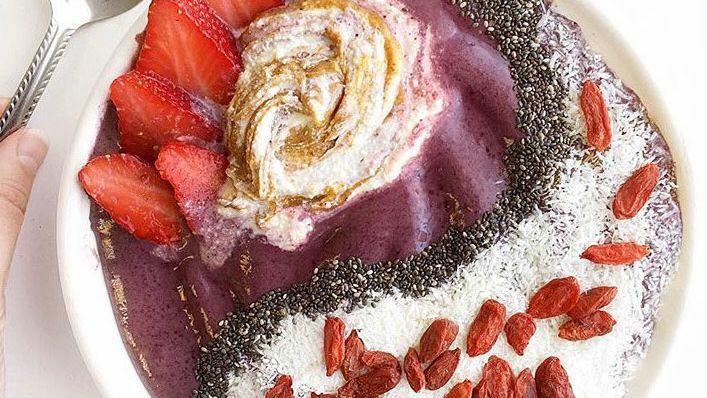 They also offer superfood bowls and smoothies. The first Hen of the Wood opened in 2005 in Waterbury, VT and a few years later, the chef, Eric Warnstedt, was named a F&W Best New Chef. Now, there is a Hen of the Wood in Burlington, and it’s such a special place that it’s a must-stop for us every summer. Everything is made in-house, and all of their ingredients come from within miles of the restaurant, from the Green Mountains and Champlain Valley. Last time we were there, we walked down Cherry Street toward Lake Champlain and we could smell the garlic coming from the hoods of their large wood-fired oven. We started salivating right in the street! We always order the Hen of the Woods mushroom toast with bacon and egg—it’s just that good. Emily tells me that when I really love food I get very quiet, close my eyes and just nod, then follow with a long, “Mmmmm.” I have many of these moments at Hen of the Wood. It can be hard to get a table, so call ahead or try and grab a seat at the bar or counter.